CD Projekt RED has revealed the release date of Hearts of Stone, the first major expansion for The Witcher 3: Wild Hunt. The DLC, releasing on October 13th, contains over 10 hours of new adventures, characters, monsters, romance and a new Runewords system. A limited boxed version will be available too, which includes a voucher code and two decks of Gwent. Those who own the Expansion Pass will be able to buy the cards separately. First screens and teaser inside. "Step again into the shoes of Geralt of Rivia, a professional monster slayer, this time hired to defeat a ruthless bandit captain, Olgierd von Everec, a man who possesses the power of immortality. 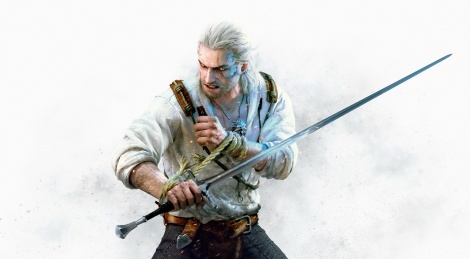 The expansion lets you choose your own way through an adventure that includes recruiting a crew of break-in artists, spending a night partying with a ghost and outsmarting the most bizarre creatures Geralt has ever faced." The studio launched a special initiative for owners of the digital Expansion Pass that will enable them to purchase the cards separately. All information about the initiative can be found at redeemgwent.com. Hype intensifying. Witcher 3 is perhaps the best game I've ever played. I got a bit bored towards the end for typical open world reasons. But that first half was amazing. Doubt in can bring myself to jump in for more though sadly. Those screenshots are amazing. Wonder what post process settings were active. Remember that time they waited till after the game was released and had your money to mention the downgrade? Not again, Red, not again. Bought both expansions before te game was even out. It's going to be great.